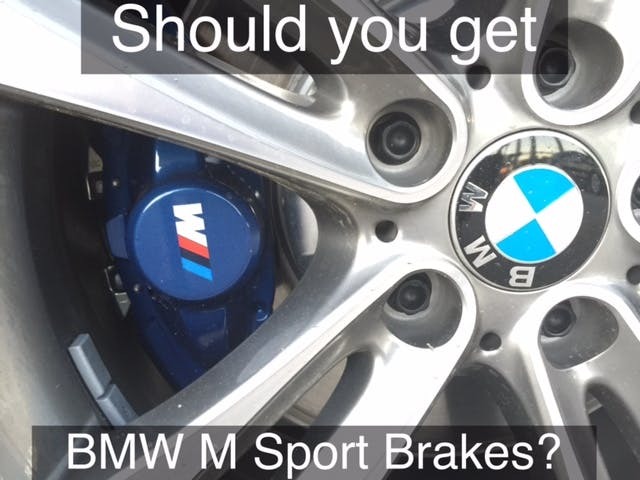 Should you get BMW M sport brakes? For people that want a little more "bite" out of their brakes, BMW offers the M sport brakes! These brakes are available on the 2 series (standard on the M235i), 3 series, and 4 series. These brakes offer excellent pedal feel, good fade resistance, and an awesome response. They feature a 4 piston fixed caliper in the front and 2 piston in the rear. The calipers are painted blue with the M logo on all 4! For people that consider themselves "aggressive drivers" or occassionally take their BMW on a track, they are a great option to consider.